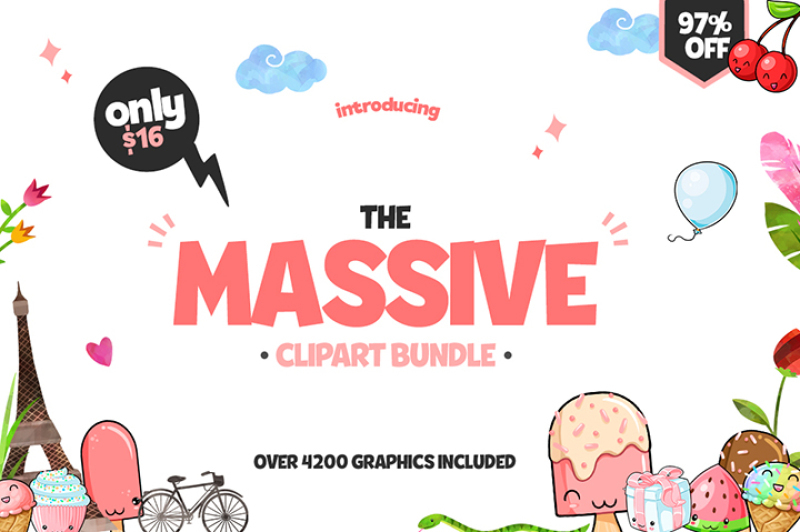 The Massive Clipart Bundle is here and you will love it! 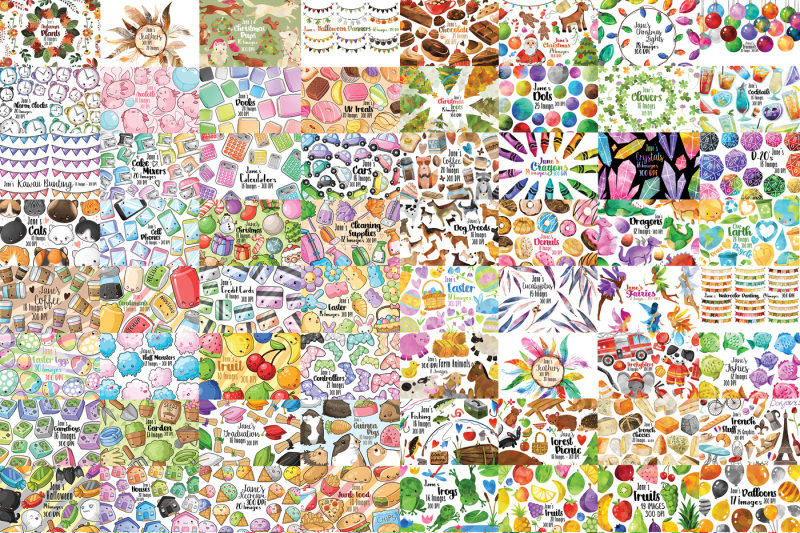 It’s one of the biggest bundles we had so far, with 257 clipart packs, and a total of 4,215 designs! Among these designs, you will find a lot of seasonal graphics, food, animals, nature, and pretty much anything you can think of! Usually, this entire set would cost you $653, but only for a limited time, you can get it at just $16! That’s a huge 97% discount!